Funding Available : Grants are available for companies registered with Cskills. Please check with your local grant office for more information. Delegates must be highly experienced and have a good level of prior knowledge in supervising lifts safely. The Health, Safety and Environment Test for Supervisors must have been achieved within the two years prior to attending. Evidence of at least two lifts that have been supervised by the delegate is essential and should be ready for submission on the assessment day. 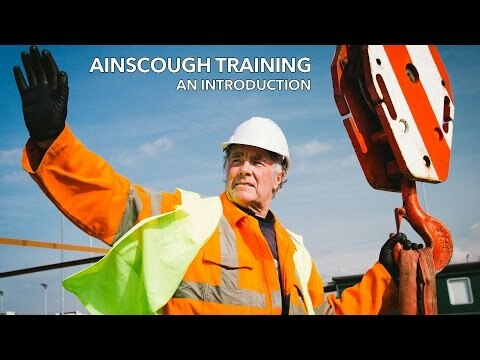 This programme is aimed at individuals who are highly experienced in lift supervising and wish to obtain their CPCS Blue card in the quickest and most cost effective way. The package is also ideal for card holders who have allowed their CPCS Red card to expire over the 12 month grace period and would like to re-enter the scheme by obtaining the CPCS Blue card in the same category. This package is aimed at experienced delegates only and a minimum of two years’ experience in the discipline is recommended. Delegates must also have the ability to cope with an intensive assessment and testing process and be able to discuss their work with others. The assessment route comprises of two elements- the CPCS training and technical tests (theory and practical) and the Level 4 NVQ Diploma. On the first day delegates are also required to complete the Level 4 NVQ Diploma to prove their competence in the discipline. To complete this assessment delegates must be able to submit evidence of at least two lifts that they have supervised and two written statements explaining how this was done (please see evidence example). The assessment will culminate with an audio recorded discussion that aims to satisfy any un-evidenced performance criteria. These days will comprise of theory training in the classroom on the first day with a qualified CPCS trainer/ tester and practical training using a mobile crane in our training area.. This is to prepare the delegates for the final CPCS tests. On day 4 delegates will undertake the Theory CPCS Technical Test followed by case study and fault finding exercises in the afternoon. On day 5 delegates will undertake the Practical CPCS Technical Test (please note that the practical test cannot be taken until the theory test has been achieved successfully). On Successful completion delegates will be awarded the Blue CPCS Competent Operator Card which will last for 5 years. Along with this a nationally recognised certificate of achievment for level 4 NVQ Diploma will be issued by the awarding body, Cskills Awards. Please allow up to 6 weeks from completion for the card and certificates to be issued. (A covering letter can be provided if needed).